This is Gerard's 3rd CD and features 9 new arrangements and 2 premiere recordings. The programme explores the music of Wales through the ages from hymn tunes and traditional songs to contemporary works. "Tros y Garreg instantly engages with the listener in its melancholy slow beauty,There is a reviving freshness about these arrangements and it’s far distant from the Welsh equivalent of tartanry. Teifi's Dream is not self-indulgent but is delicate and elusive,. It ends 52 minutes of the most beautiful playing." "A wonderful understated and unpretentious performance throughout. This is a must for all serious collectors of classical guitar recordings." "A stunningly unique and rewarding recording." 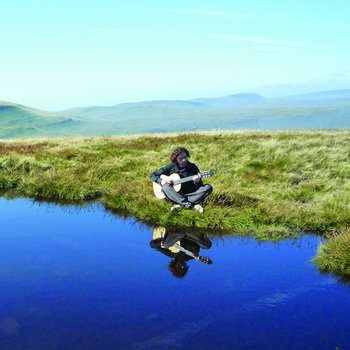 The idea of magical music has existed in Wales since the remotest of times. It dwells deep in the core of the Celtic nature and is imbued with that quality called Hiraeth which echoes in Welsh music and poetry through the ages, a longing for that which, it seems, life can never give. optimism for the future and the horrors of the past. underwater realm, where the melody is refracted and magnified as if underwater. deathbed called for his harp and composed this haunting air. influences which he describes as a terse sonata-rondo. at the Cathedral where his father was Master of the Choristers and Organ-player. journey that this highly charged and original guitar piece takes. music depicts its spinning was never quite regular. born who still awaits her own song.